Demetris Robertson at the 2015 Georgia Olmpics. 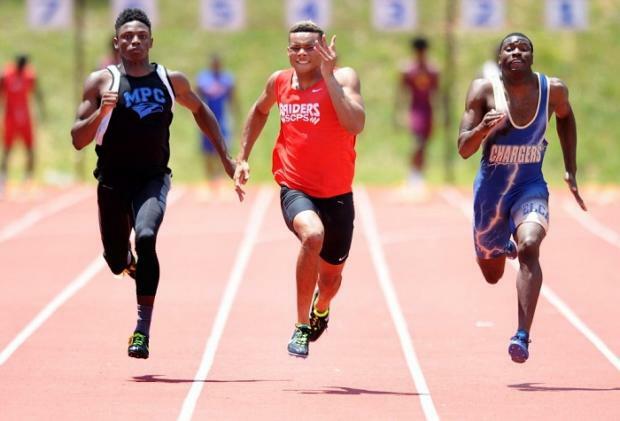 Boys Track- Demetris Robertson of Savannah Christian, 100m- 10.73 & 200m- 21.63 (LJ- 22-4) @ Area 1 Meet. Boys Field- Robby Watson of FPD, Discus- 170-8 & Discus- 51-01 @ Area 1 Meet. Boys Field- Josh Miller of FPD, PV- 14-06 @ Area 1 Meet. Boys Relay- Tallulah Falls 4x100- 43.81 & 4x400- 3:30.42 @ Area 2 Meet. 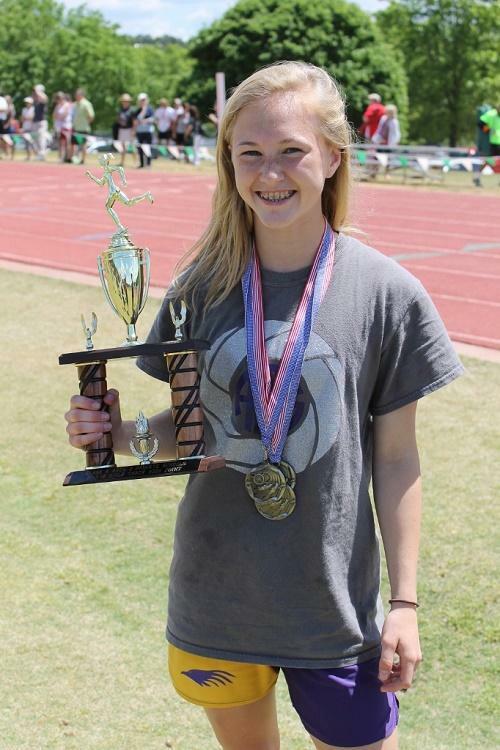 Girls Track- Katie Phillips of Athens Academy- 110h- 15.33 & 300h- 45.96. Girls Track- Clara Heiss of Athens Christian, 100h- 15.90, 200m- 26.49 (PV- 9-0) High Point Athlete @ Area 2 Meet. Girls Field- Jordan Allen of Tattnall Square, LJ- 17-6.75 & TJ- 37-6 @ Area 1 Meet. Girls Field- Julia Harisay of Athens Academy, Shot- 40-6 @ Discus- 136-7 @ Area 2 Meet. Girls Relay- Athens Christian 4x100- 50.21 @ Area 2 Meet.